Pickboy Edge is the pointy brother of the Pickboy Modulous pick. Both are made from stone hard Carbon Graphite. 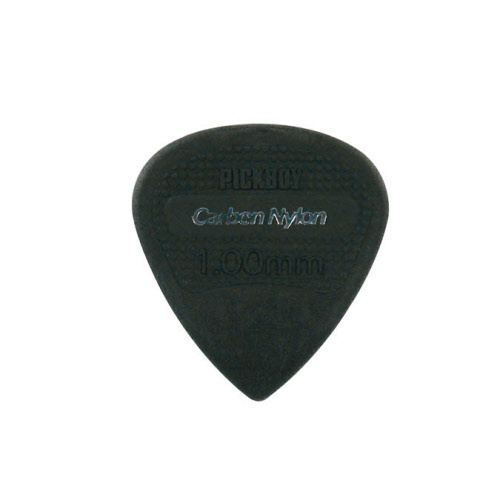 These picks are used by guitar players who don't fear powerful play. They won't give in and have a pure sound! The more picks you buy, the cheaper the picks become! Solid picks with a clean sound! The tough Pickboy Edge picks. Material: carbon graphite. Size: 0,60 mm. Color: black/red. On sale: 12 pieces for € 7,95. Material: carbon graphite. Size: 1,14 mm. Color: black/gold.